I think knobs can be such great decorations on the wall, especially antique knobs. We have knobs in the children’s playroom to hang their artwork. The ones in this tutorial were for our master bedroom room to hang frames above our bed. There are so many other decorations you can hang on these knobs mounted on walls. But first, let’s learn how to mount them. It’s easier than you think. 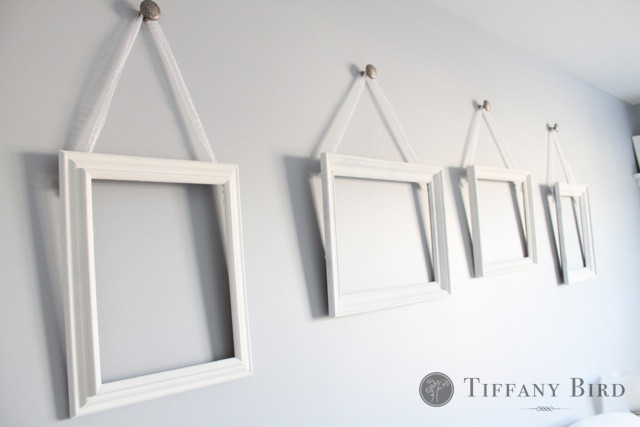 Don’t forget about the tutorial on how to reuse frames to make ribbon hanging wall frames. If you make something using this tutorial, please upload pictures of it in our Flickr group to show it off to everyone. You may be featured on Simply Modern Mom. 1. 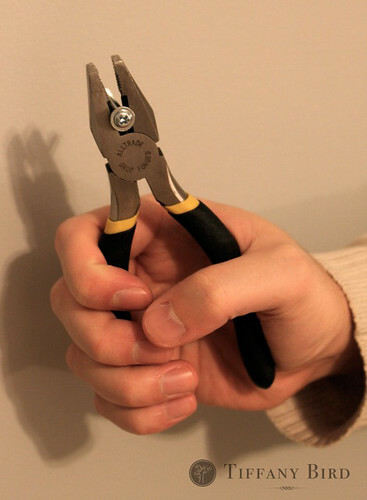 Use the bolt cutter and cut off the closed end of the screw. 2. Measure where you would like to hang the knob and drill a hole. Look on the wall anchor packaging to see what size drill bit you need. 3. 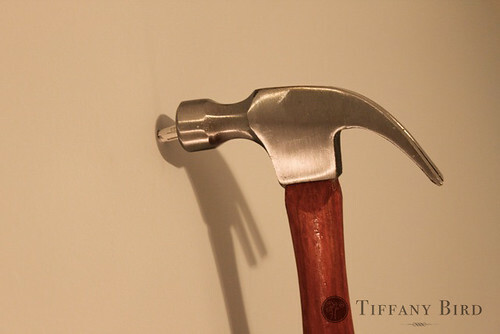 Place the wall anchor in the hole and hammer it flat into the wall. 4. Screw the knob into one end of the double open ended screw. 5. Screw the other end of the screw into the anchor all ready in the wall. I was planning on do something similar in our bedroom with a finial ~ thank so much for the How To!!! very cute idea! i had plans on doing the same with old door knobs and using them as purse hooks in my craft room. great idea and thanks for posting this! How do/did you attach antique doorknobs to the wall? They have the square receiver for the bolt…? Great post. I look at those anchors and think it’s one more step I just can’t do, but you’re making it look all too easy! I love your new master bedroom. I’d be hangin’ in there all day!! Ooo I can’t wait to try this! Thanks! 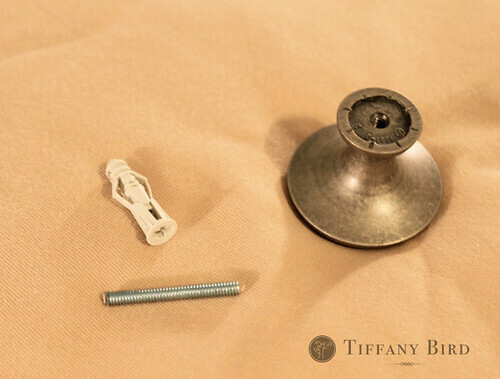 You could also use double ended screws (no heads and threads on both sides) instead of cutting the heads off. Double ended screws are available at most hardware stores. That’s a great idea – much simpler! Thank you so much! 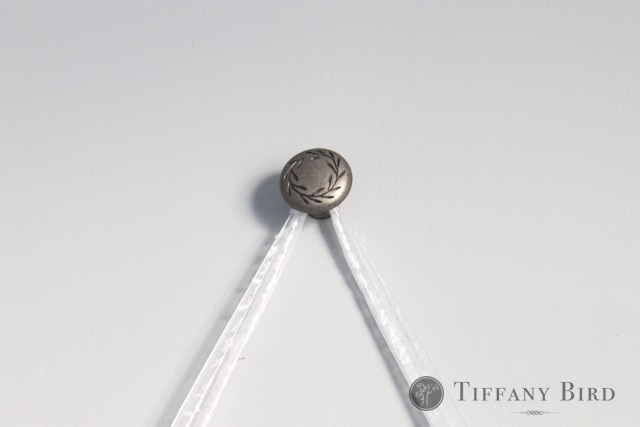 I am going to hang fabric tiebacks on these for my curtains! I had no idea how to do it before! I have some antique door knobs that have a square end where yours have a threaded end. I was wondering if you had any projects with these types of knobs? I’d like to hand them from the wall for my scarfs! I am very glad you have posted the easy instructions! I found old drawer pulls to hang my necklaces from. So helpful! Thanks! Wish I could post a picture of our finished project…. Thank you. I was wondering how to hang my door knobs in my bathroom as towel hooks. You were the first website that came up. Wonderful, I think I will pin you. Thank you so much! I have been wanting to do this but couldn’t figure out how to do it. Where did you get anchors that match the thread of a cabinet pull? I couldn’t find any! Thanks. I’m having the same issue rachel. I can’t find any anchors that match my cabinet knobs–and they’re just the standard kind I found at home depot. Did you have any luck? I love your idea to hang picture frames using cabinet knobs. I have been using cabinet knobs for all sorts of things lately and found your picture frame idea on Pinterest. I am actually working on a blog post about creative ways to use cabinet knobs and hoped I could feature your idea. Thanks! 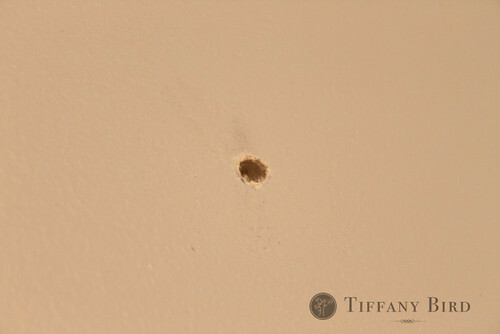 Great idea … Any suggestions if you’re going into a stud vs drywall? Ie wood screw on one end or something ?!? Thank you! 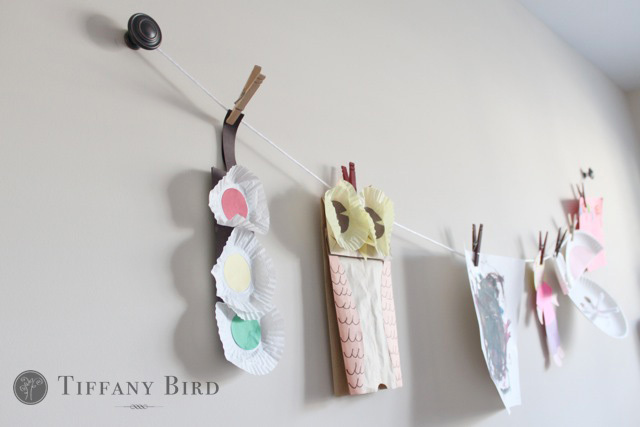 I finally figured out how to do the diy wood slice wall hooks I want for the boys’ room. I’d like to use knobs from a craft store which has a beautiful selection. The problem is they already have a screw attached with a flat end and it won’t come out. Would love some suggestions. As for door handles, I used double ended screws and a product called Jen-weld. The product filled in the excess area between the handle and screw. Super strong! LOVE this idea & have used it in our farmhouse – inspired house. 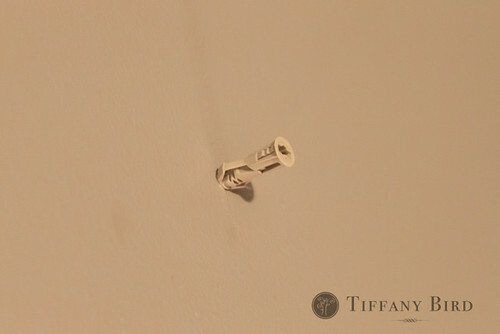 My husband and I chose to use wood screws (cut the flat end off) and it screws into the drywall. We dont hang incredibly heavy artwork — so this has worked well for us. We have also used the drawer pulls to create robe/sweater/coat hooks in my daughter’s bedroom. So versatile & easy to do. I am now on the “lookout” for different and unique drawer pulls cause I love to use them!!! Thank you for posting this. I am planning to hang family recipes in my kitchen using old knobs and wasn’t sure how I was going to do that. Now I know!